Sonakshi Sinha's latest Instagram post is making her fans very curious. 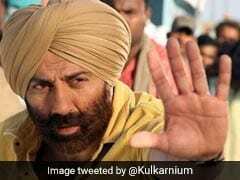 The actress, who already has multiple projects in the pipeline, started shooting for an untitled film in Amritsar on Friday morning. 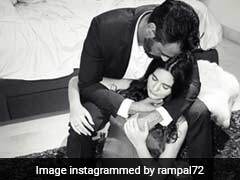 The 31-year-old actress shared a photograph from the sets of the film on her Instagram profile. Besides Sonakshi, the picture also features Fukrey actor Varun Sharma and filmmaker Mrighdeep Lamba. 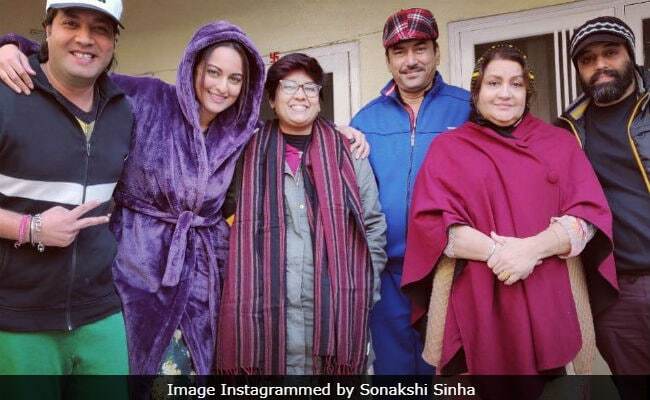 Sonakshi captioned the picture: "Naya din, nayi film, naya kaam but no naam! First day of shoot today, will tell you the name as soon as we know! Wish us luck." The Dabangg actress might not have revealed the title of the film but she did quench her fans' curiosity to some extent by revealing that the film will be directed by Shilpi Dasgupta and it will be co-produced by T-Series and Mrighdeep Lamba. The comments section was full of congratulatory remarks and best wishes for the actress. "Good luck, you will rock it," wrote a fan. "We would be desperately waiting for this one," commented another Instagram user. Seems like 2019 is going to be a busy year for Sonakshi as she has several releases lined-up this year. Apart from the untitled project, the actress will be seen in Abhishek Varman's Kalank, co-starring Alia Bhatt, Varun Dhawan, Madhuri Dixit and Sanjay Dutt. She also has Mission Mangal alongside Akshay Kumar, Vidya Balan and Taapsee Pannu in the pipeline. That's not, fans will also get to see Sonakshi in the third installment of the Dabangg series. Sonakshi Sinha is the daughter of veteran actor Shatrughan Sinha and former beauty queen and actress Poonam Sinha. Sonakshi stepped into the Indian film industry with Salman Khan's 2010 high-octane action film Dabangg. Sonakshi Sinha is best-known for her performances in films such as Lootera, Akira, Dabangg 2 and Noor among others. Sonakshi's last release was the 2018 comedy film Happy Phirr Bhag Jayegi.